Pre-owned vehicle pricing includes all offers and incentives. Tax, Title and Tags not included in vehicle prices shown and must be paid by the purchaser. While great effort is made to ensure the accuracy of the information on this site, errors do occur so please verify information with a customer service rep. This is easily done by calling us at (361) 332-4514 or by visiting us at the dealership. 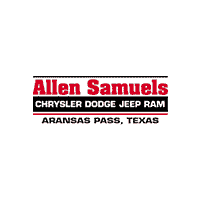 Why Buy a Used Ram 1500 at Allen Samuels CDJR Aransas Pass near Kingsville? Port Lavaca used truck shoppers turn to Allen Samuels CDJR Aransas Pass for their pickup needs because of our expansive inventory and great customer service, and we also carry a range of used SUVs and custom and lifted vehicles as well. We’ll answer any questions you have about the Ram 1500 or other used trucks in our inventory. You can even apply for financing online or call us at (361) 386-2626 to set up a test drive.